How to prepare. Beat eggs with cheese and add remaining ingredients. Allow to rest 5-10 minutes and then pour one ladle in the middle of a hot non-stick pan. Do not spread it in the whole pan. 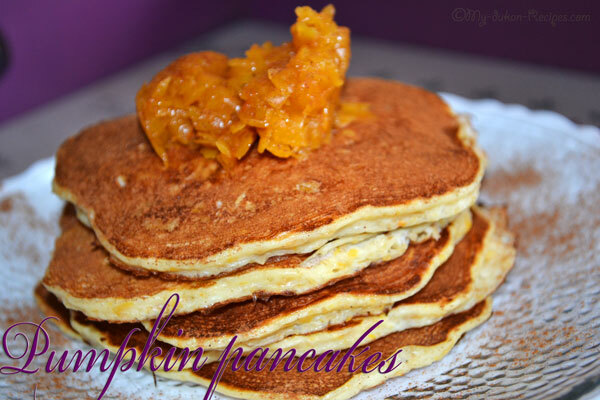 You must do pancakes for about 10 cm in diameter. From this composition it will result 6 pancakes. 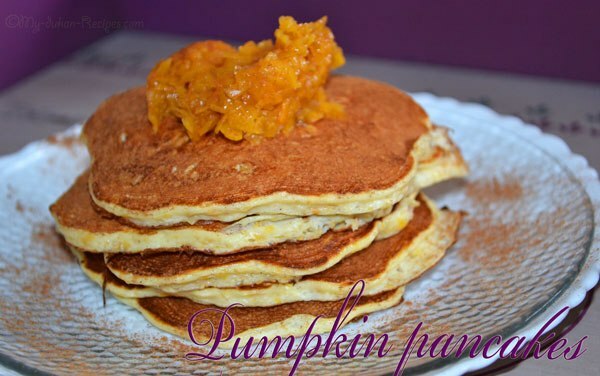 Add a tablespoon of pumpkin jam, a cup of milk and you have a delicious breakfast.